A combination of peach and tan pigments soften the appearance of uneven skin tone while the soft tint of color offers a sun kissed glow. Provides medium to full coverage with a weightless, non drying feeling on the skin. 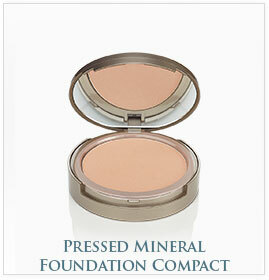 It gives the appearance of perfection without the thick look of traditional pressed powder. Our pure pigments are designed to glide on smoothly for the perfect color. Colors: California Girl, Not Too Deep, Girl From Ipanema, Taste of Honey. 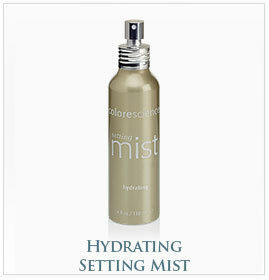 Refresh your skin with Colorescience Hydrating Setting Mist. 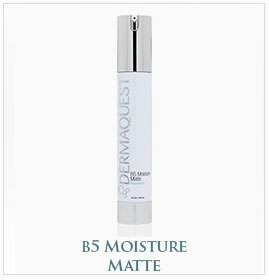 This moisturizing mist is formulated to soothe and replenish normal to dry skin. 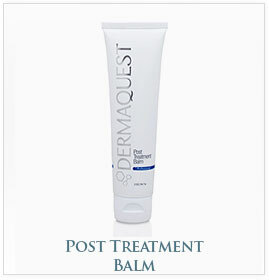 It protects against dehydration and helps to restore the look of flaking and peeling skin. 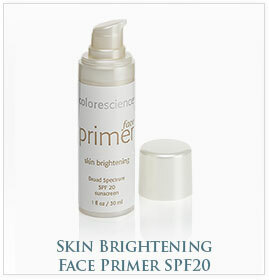 Achieve the ultimate protection from sun damage and its aging effects with a soft focus finish. Sunforgettable sunscreens are easy to apply and reapply throughout the day to keep your skin protected and beautiful. 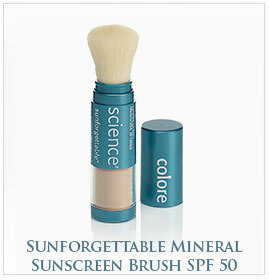 Sunforgettable SPF 50 highly refined mineral sunscreen provides safe, non-irritating, UVA and UVB sun protection. The self-dispensing powder brush makes it easy to apply and re-apply throughout the day for continued coverage. Ideal for an active lifestyle. Colors: Medium Matte & Tan Matte. 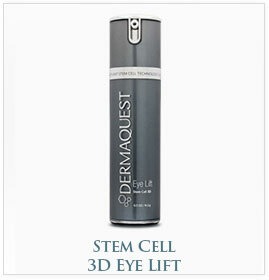 The 3D Eye Lift, boasting the renewing potentials of Biotech Marine with restorative Gardenia and Sea Holly Stem Cells. Blended to illuminate while Red Algae lifts and tones, this luxurious cream leaves the windows to your soul harmoniously inviting and bright. 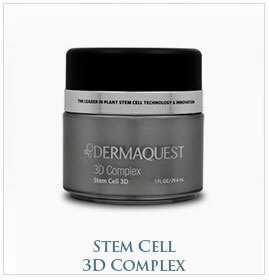 The Stem Cell 3D Complex is the most notable technology in anti-aging since the debut of neuropeptides. Decadently imbued with advanced Biotech Marine and botanical stem cells, powerful brightening peptides, and potent antioxidants, this rich, silky cream is the heart of your 3D Ritual and DermaQuest’s exclusive salute to the illusive fountain of youth. Immerse yourself in a rejuvenating bath of anti-aging plant stem cells. 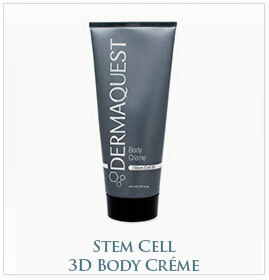 Velvety and indulgent, Stem Cell 3D Body Crème is a lusciously hydrating way to firm skin while balancing your tone. Retexture décolleté and shrink sagging skin quickly and effectively. Relish in the spoils of soft, supple skin, head to toe. 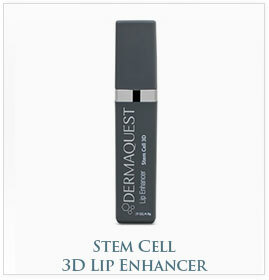 This energizing lip enhancer is imbued with firming Maxi-Lip peptide and botanical stem cells to repair and prevent DNA damage. Instantly plumping and hydrating, our gloss magnifies your lip’s natural color adding a salacious veneer to your 3D Ritual. This cooling scrub uses jojoba beads to remove excess skin cells through gentle exfoliating, leaving the skin smooth and prepped for advanced treatment products. 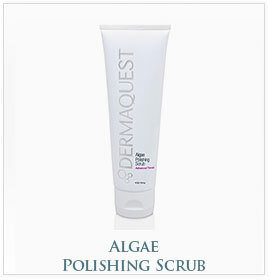 Deeply hydrating, this scrub primes the skin for water absorption while relaxing algae extract soothes inflammation. Let your skin breathe. 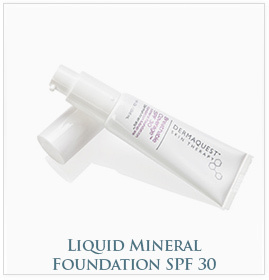 DermaQuest’s unique long-lasting liquid mineral foundation SPF 30 delivers the perfect amount of coverage, giving skin a smooth, even finish, without weighing it down or clogging pores. 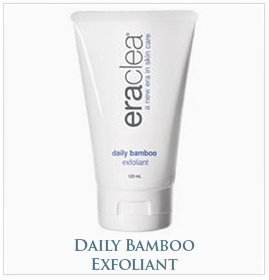 This daily exfoliating micro-scrub removes impurities, oil, makeup and dead skin cells leaving the skin clean and fresh with a more youthful glow. It helps increase skin cell turnover rate and resurfaces the skin to reduce the appearance of fine lines, wrinkles, pores, age spots, discolorations and acne scars. Afsaneh recommends Bioclear lotion for oily to combination skin types. It dramatically helps change skin texture, helps clear up acne, prevents the reappearance of acne, minimizes enlarged follicles and helps clear pigmentation left by acne. 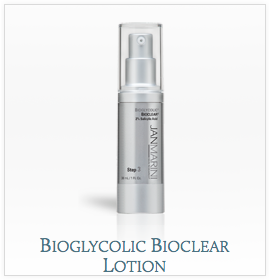 The salicylic, azelaic, and glycolic acid combination have a powerful anti-inflamatory effect on skin concerns such as rosacea, lines and wrinkles, and acne. It helps by decreasing redness and pigmentation, which can bring back clarity to the skin. Bioclear Cream gives the same results as Bioclear Lotion but while the lotion is best for oily to combination skin the cream is better for dry to normal skin types. 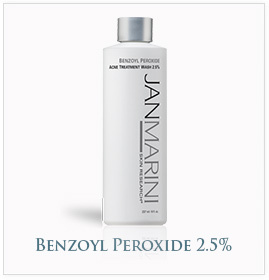 Afsaneh recommends Benzoyl Peroxide 5% and 10% as the most effective acne fighter. 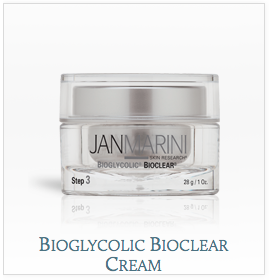 It is one of the most effective ingredients in treatment and preventative care for cystic and acne prone skin. 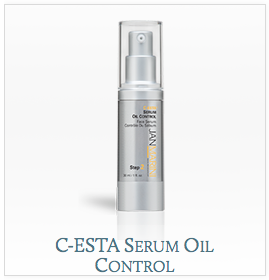 C-ESTA Serum Oil Control lets the skin glow with luminosity while dramatically inhibiting oil breakthrough on top of all the extrordinary anti-aging benefits of the regular C-ESTA serum such as reducing lines tightening contours, and evening skin tone. 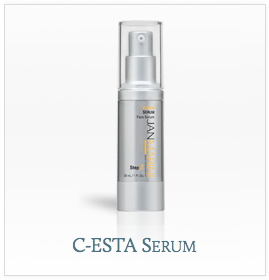 C-ESTA Serum contains DMAE and vitamins B, D, and E to dramatically rejuvinate the skin. This serum is wonderful because it improves the skin’s elasticity, resiliency, while tightening and refining. Skin appears noticeably yonger and healthier. 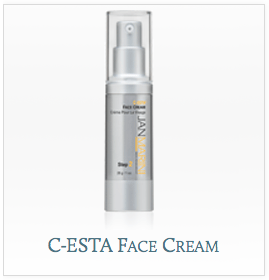 C-ESTA Face Cream provides the same benefits as C-ESTA Serum but for normal to dry skin types. The face cream tightens and defines to make skin appear more smooth and supple. The lightly emollient formula uses advanced hydrating agents and beneficial extracts. Afsaneh recommends this face cream as a hydrator for extremely dry skin due to its essential fatty acids you can see immediate improvement on dry skin. Because of its bioidentical hormone technology it also makes it a great anti-aging cream for any woman over thirty. 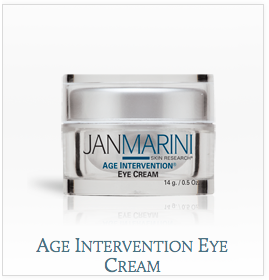 Afsaneh highly recommends this eye cream. 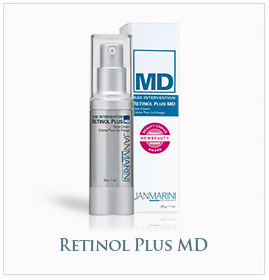 Due to its patent-pending peptide/retinol combination you see an incredible difference in fine lines and wrinkles. Due to its magic it’s definitely a number one best seller. 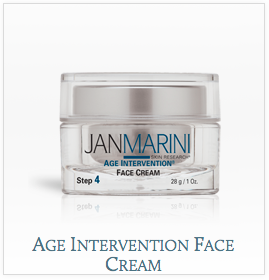 Dramatically reduces the appearance of fine lines and wrinkles, sun damage, hyperpigmentation and acne. The mask amplifies your anti-aging results through enhanced penetration of multiple anti-aging technologies for long-term benefits while resurfacing agents immediately smooth and refine the skin. Transformation Face Cream is wonderful for all skin types because it combines powerful anti-aging technologies not only to maintain and augment the appearance of youthful, healthy skin but to help improve damaged and sensitive skin. The key technologies leave skin feeling silky and dramatically decrease the appearance of fine lines and wrinkles. 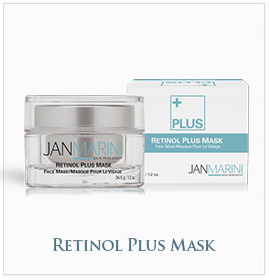 Highly concentrated retinol plus peptides, antioxidants and soothing agents dramatically improve the appearance of fine lines, wrinkles and texture for smoother more youthful skin. Offers extraordinary skin rejuvenation. Featuring an extremely concentrated formula with targeted blend of peptides to boost collagen for firmer, smoother more plump skin while potent and soothing antioxidants reduce the appearance of redness due to sensitive, reactive or post-procedure skin. 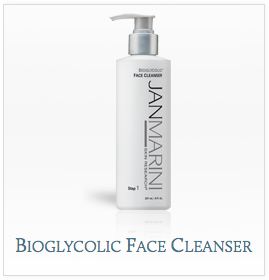 A very effective antibacterial cleanser for the treatment of acne and acne-prone skin. 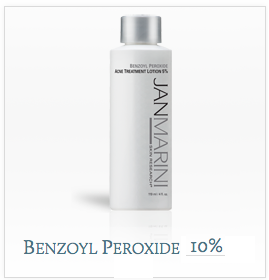 It assists in thoroughly removing sebum and cellular debris without stripping or excessive dryness. Oily skinned individuals will appreciate deep cleansing action that leaves the skin feeling scrupulously clean, soft and smooth. 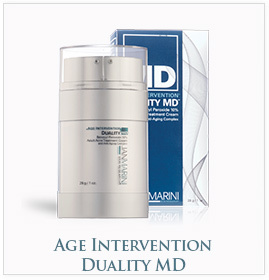 This breakthrough solution combines serious, clinically-proven acne correction with dramatic anti-aging benefits. 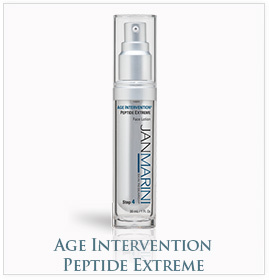 The maximum allowed percentage of ultra-micronized benzoyl peroxide, highly concentrated all-trans-retinol, green tea extract, anti-aging peptides and antioxidants deliver unparalleled results in a non-irritating easy to use solution.